Choosing an MOT test centre for your up and coming test can be a daunting process. With so many garages offering eye-catching deals for MOT testing, it can sometimes feel like you are being bombarded and misled. At Bromley Car Repairs we don’t believe in ‘reeling you in’ – at our MOT test centre in Bromley, we simply offer you honest staff, a professional MOT test and expert advice from an accredited garage. Our dedicated in-house MOT test centre in Bromley, formally known as Amos and Rushbrook, has been operating since 1957 and will provide you with a hassle-free experience with plenty of helpful service thrown in for good measure. Getting your vehicle’s MOT test completed is simple with Bromley Car Repairs. Our MOT test centre is located at our main workshop/reception at 151 Masons Hill, BR29HW, on the A21, just a 10-minute walk to Bromley Town Centre, so why not do a bit shopping while we look after your MOT needs. We will always try to book your MOT testing for a time convenient for you. 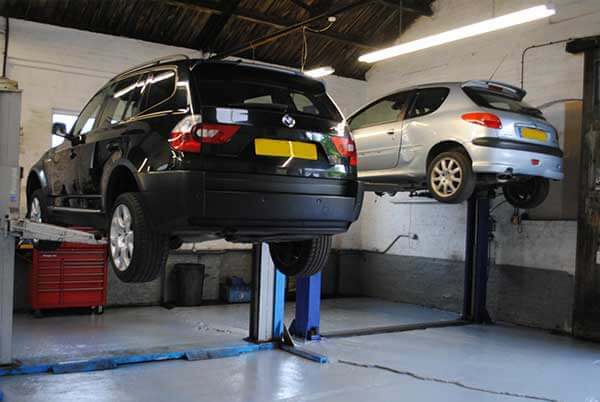 To book an MOT call us on: 020 8466 6665. Not sure of your MOT expiry date? No problem- just call us on 020 8466 6665 to make sure that your MOT certificate is still valid. We can also send you a reminder in the post before it runs out. MOT testing is required by law and it may affect the validity of your insurance if your vehicle does not have a valid MOT certificate. Your MOT test can be carried out up to 1 month before the expiry date. When the new certificate is issued, it will be dated concurrently from the end of your last certificate, so you will not lose time. If your MOT test is completed more than a month before your current certificate expires, the date of the new certificate will be the date of the test, so you may lose out. We have a dedicated MOT test garage which means that we can carry out MOT tests to the highest possible standard. We will always try to accommodate your test at a time which is convenient for you and fit in late bookings wherever possible. If you need to cancel your MOT test, we ask for at least 24 hours’ notice. We appreciate that this isn’t always possible, so if you do need to cancel, call the office as soon as you can to rebook your appointment for the next convenient time. If your car fails its MOT test, we will explain the reasons why so that you can either ask us to repair the faults or take your vehicle to an alternative garage before re-booking your test.